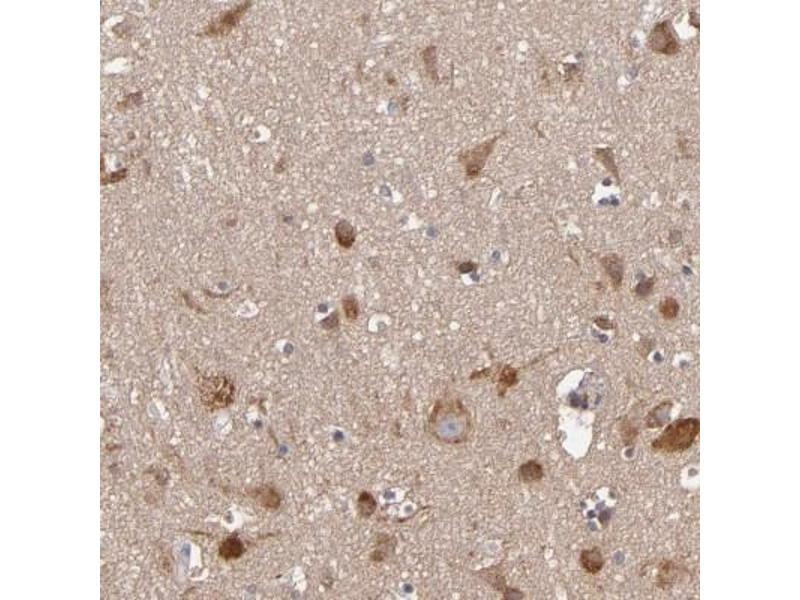 Immunohistochemistry-Paraffin: JM4 Antibody [NBP1-87886] - Staining of human cerebellum shows strong cytoplasmic positivity in purkinje cells. 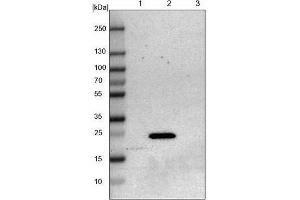 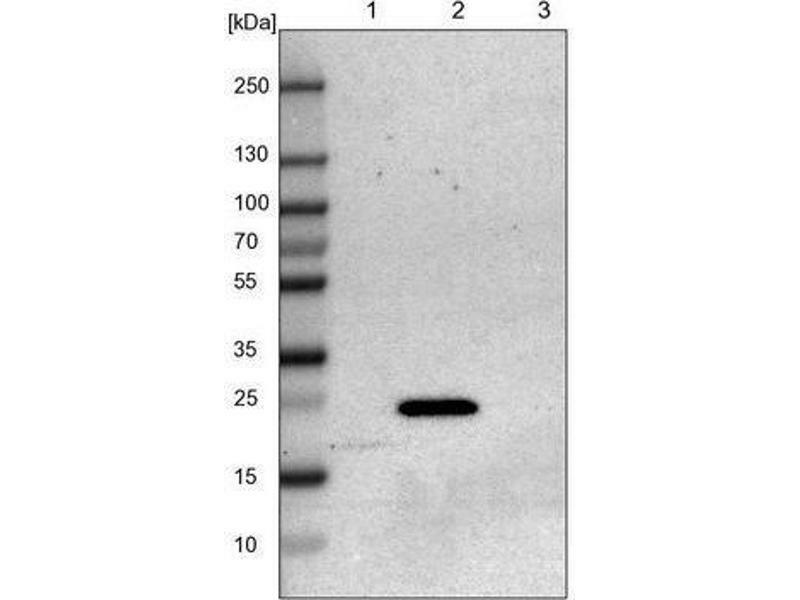 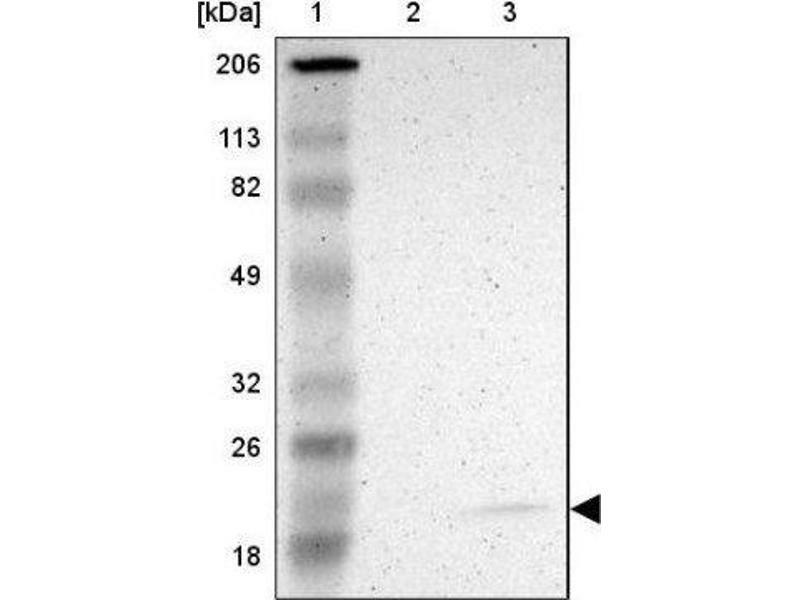 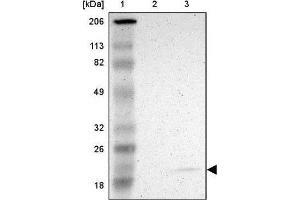 Western Blot: JM4 Antibody [NBP1-87886] - Lane 1: NIH-3T3 cell lysate (Mouse embryonic fibroblast cells); Lane 2: NBT-II cell lysate (Rat Wistar bladder tumour cells); Lane 3: PC12 cell lysate (Pheochromocytoma of rat adrenal medulla). 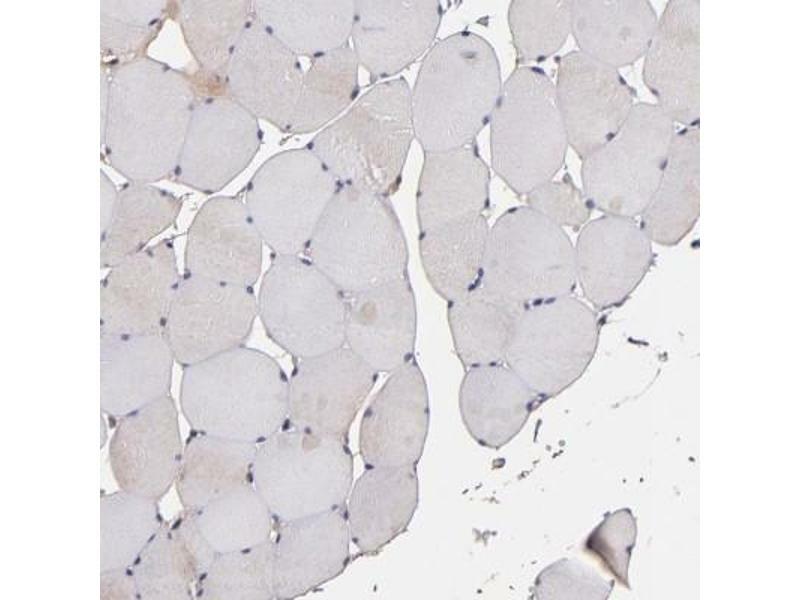 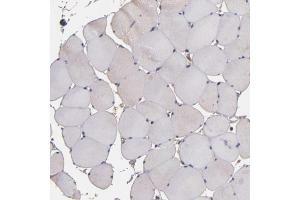 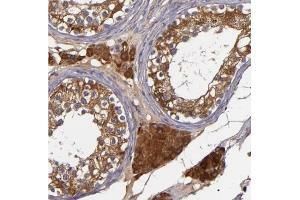 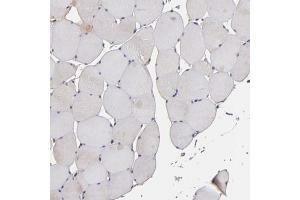 Immunohistochemistry-Paraffin: JM4 Antibody - Staining of human skeletal muscle shows low expression as expected. 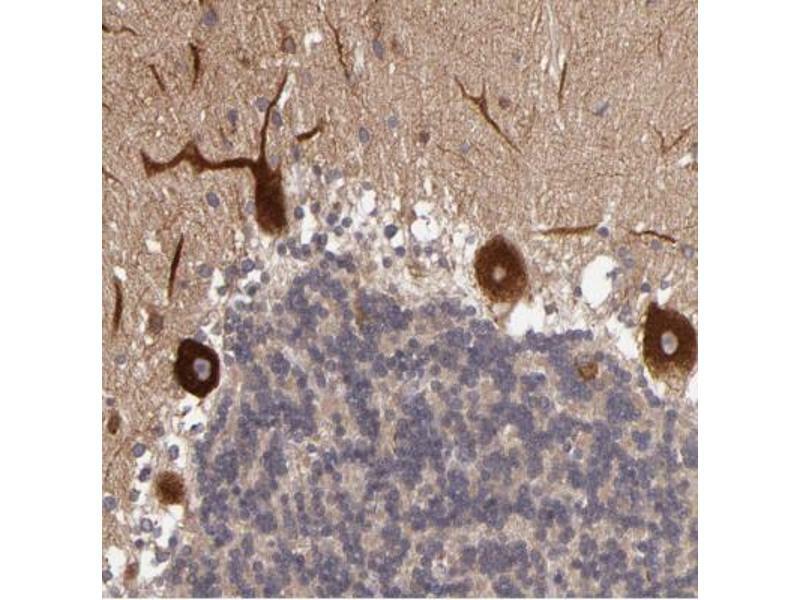 Immunohistochemistry-Paraffin: JM4 Antibody - Staining in human cerebral cortex and skeletal muscle tissues using anti-PRAF2 antibody. 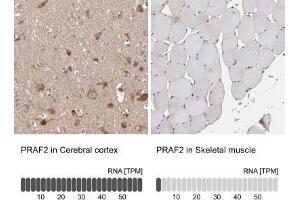 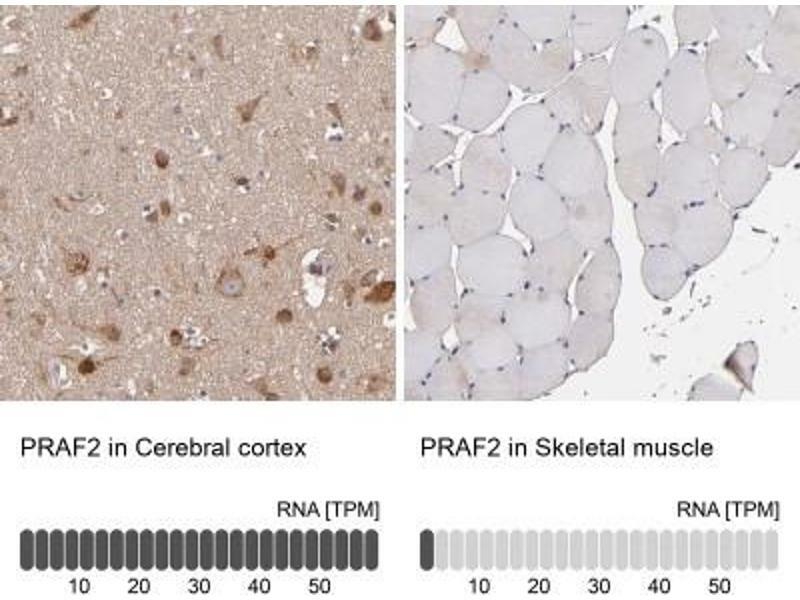 Corresponding PRAF2 RNA-seq data are presented for the same tissues. 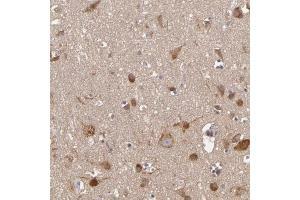 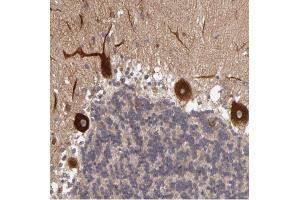 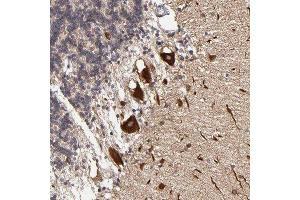 Immunohistochemistry-Paraffin: JM4 Antibody - Staining of human cerebral cortex shows high expression. 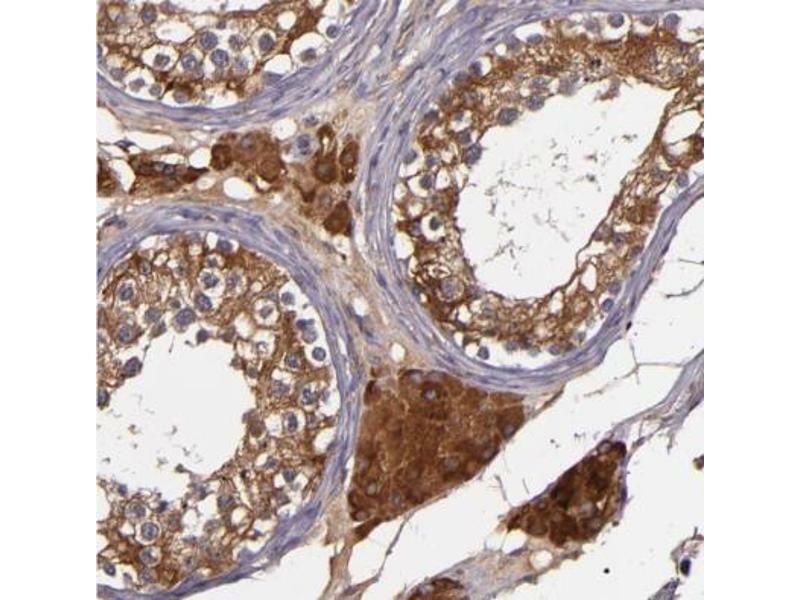 Immunohistochemistry-Paraffin: JM4 Antibody - Staining of human testis shows moderate to strong cytoplasmic positivity in cells in seminiferous ducts. 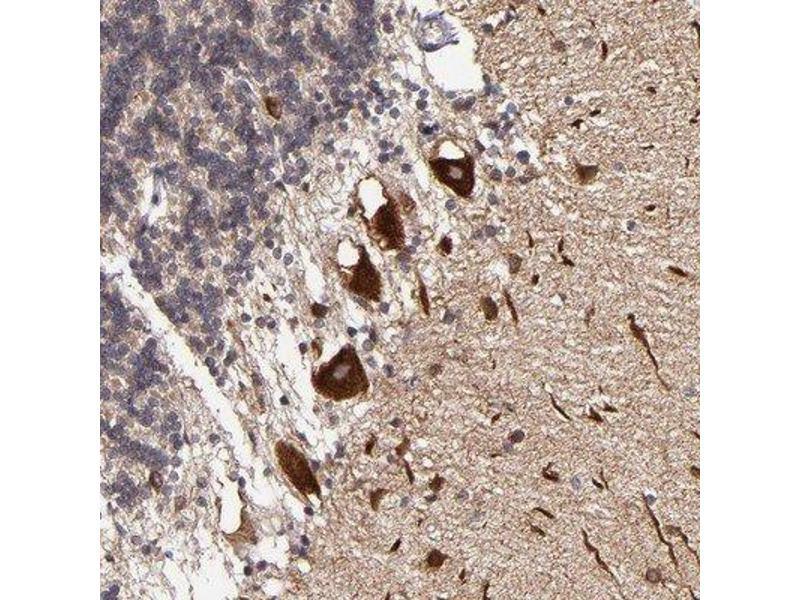 Immunohistochemistry-Paraffin: JM4 Antibody - Staining of human cerebellum shows moderate to strong cytoplasmic positivity in Purkinje cells. 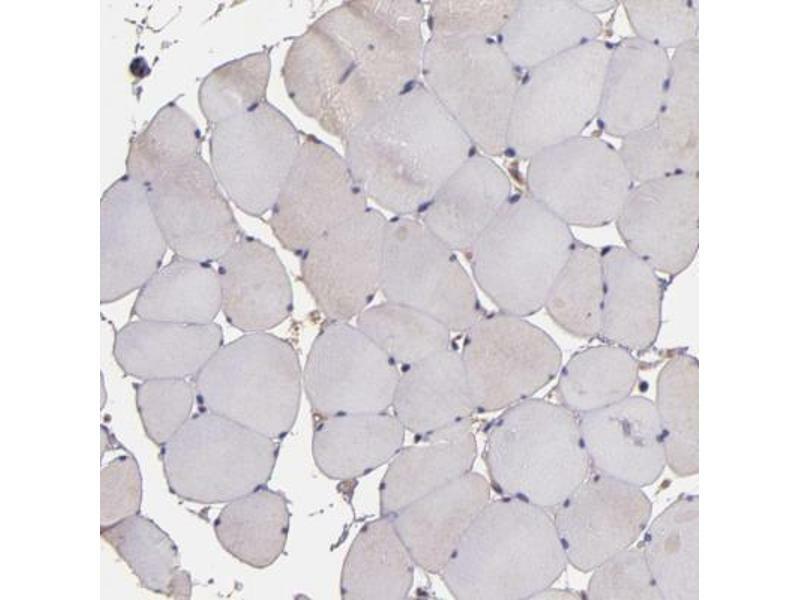 Immunohistochemistry-Paraffin: JM4 Antibody - Staining of human skeletal muscle shows no positivity in myocytes as expected.